All clubs have costs and Briars Rugby is no different to any other not for profit organisation. 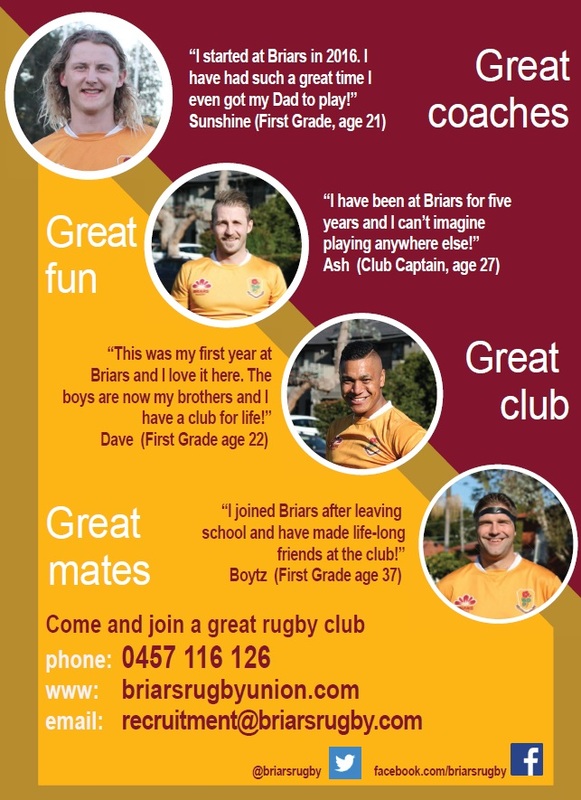 Briars Rugby exists solely due to our membership through the players, Old Boys and primarily our major sponsor The Briars Sporting Club. It costs approx. $60,000.00 a season to run the teams at Briars Rugby, so please be conscious that your Subs are essential to the survival of YOUR rugby club and bear in mind that not being a financial player could affect your insurances. Membership into the Briars Sporting Club. No equipment such as socks, shorts or ancillary items will be issues to member who are have not paid their fees. Then the player will be deemed Non-Financial, and ineligible to play until the situation is corrected. 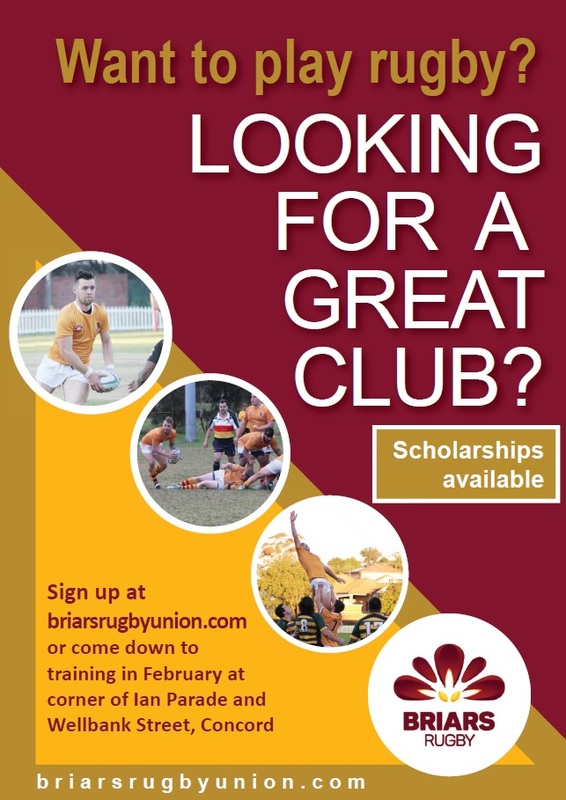 Please Note – If you are concerned about fees please contact; info@briarsrugby.com or your grade manager. BRIARS RUGBY WILL ALWAYS SUPPORT PLAYERS IN FINANCIAL HARDSHIP. As long as we know there is a financial issue, and your willing to help the club in other ways like a shift on the BBQ, or Running Lines, Ball Boy, Set up/Pack up. In General Supporting the club. There will never be an issue of Subs. Briars Rugby is a Family and we will always support our Family.